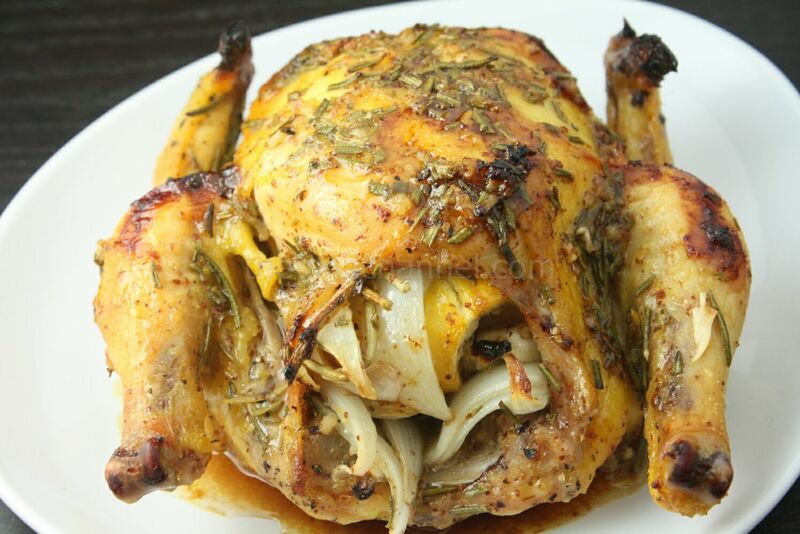 Cornish hens are quickly becoming a favorite of mine for a delicious and healthy meal. A Cornish hen is about 2 pounds and is the perfect size for a dinner for two. This recipe is somewhat of an extension of the last recipe. Here, the key flavor enhancers are garlic, rosemary, dijon mustard, lemon juice, and honey. The flavor profile consists of a bit of sweetness and tanginess from the lemon, dijon mustard, and honey, and with the fragrance from fresh rosemary. The more I work with Cornish hens, the more I am impressed with the tenderness of the meat, including breast meat. There is more room for error because of this. You can overcook this quite a bit and you will still not have dry and tough meat. 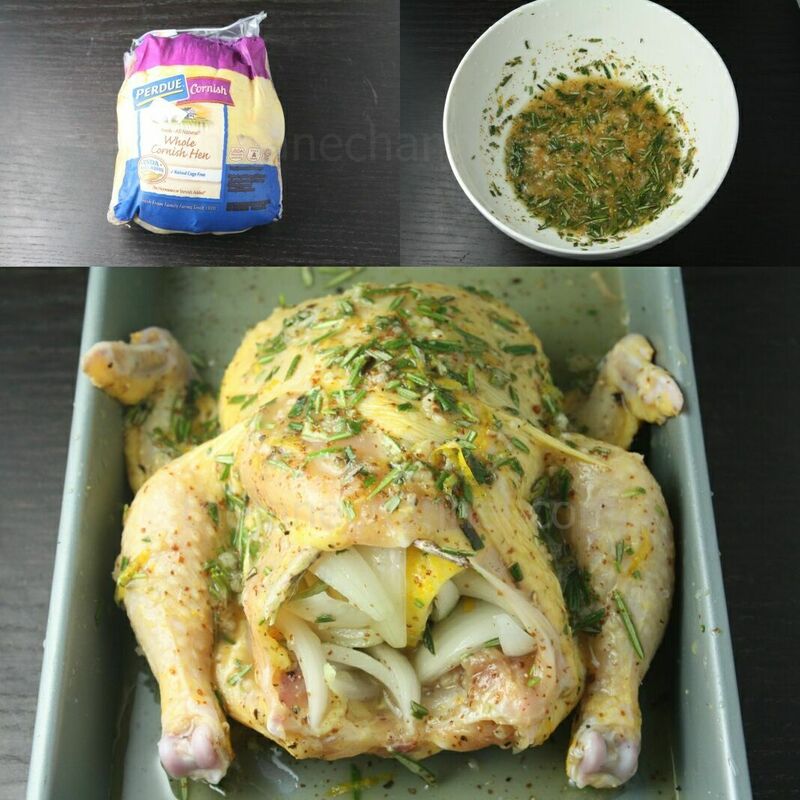 Preheat the oven to 375 F. In the meantime, mix the garlic, rosemary, dijon mustard, lemon zest, lemon juice, and honey. Pat the hen dry with paper towels. Season with salt and pepper. Carefully separate the skin from the flesh and slip half of the seasonings under the skin without tearing it. 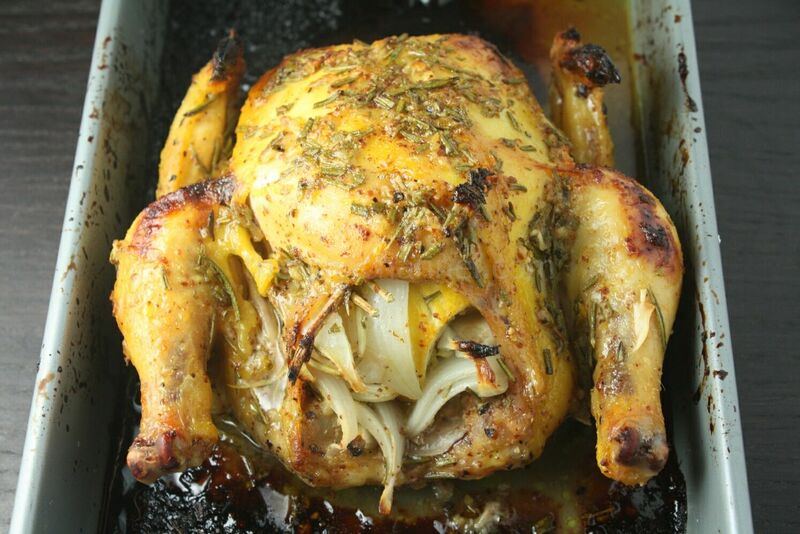 Place a sprig of rosemary, chopped onions, and the lemon half in the cavity of the hen. Place the hen in a roasting pan. Roast for 30 minutes. Remove hen from the oven and use a spoon to scoop the juices at the bottom of the pan and pour it on top of it. Bring the hen back to the oven and roast for another 30 minutes at 375 F until the juices between the breast and the leg run clear. This should give the chicken some nice brown color. Remove from oven and allow to rest for 10 minutes before carving.